Strengthening Low Carbon Energy Island Strategies (LCEI) project conducted the 8th Energy Efficiency Awareness Workshop in Th. Thimarafushi on 28th February 2018. 49 students from grade 8, 9, 10 and 11 of Th. Atoll Education Centre, Th. Thimarafushi participated in the workshop. 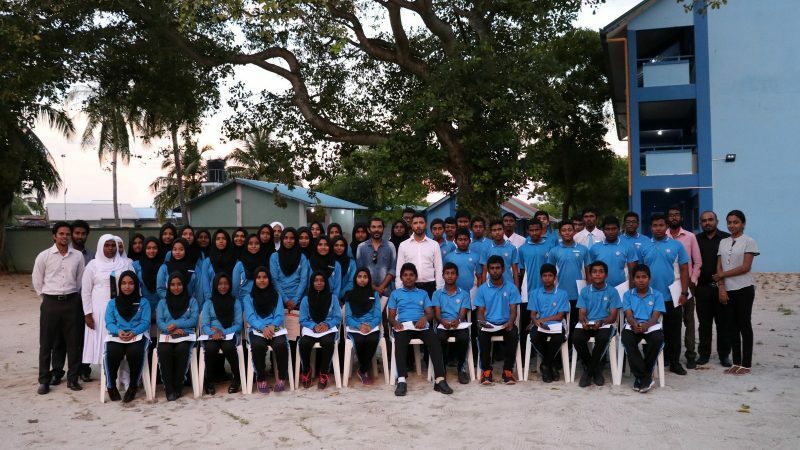 The workshop was inaugurated by the Principal of Thaa Atoll Education Centre Mr. Moosa Musthaq. Officials from LCEI Project Management Unit, Energy Department, Environment Department of MEE and Maldives Energy Authority facilitated the workshop. In the workshop, information was given on climate change, energy efficiency, ways to be more energy efficient, how to conserve energy and importance of energy efficiency in building design to reduce GHG emissions. Exercises were conducted to provide knowledge on electrical Nameplate reading and Electric bill reading. At the closing ceremony of the workshop, certificates were distributed by Th Atoll Thimarafhi council member Mr. Aalim Abdul Wahhaab. The Project “Strengthening Low Carbon Energy Island Strategies Project (LCEI)” aims to reduce greenhouse gas (GHG) emissions through energy efficiency in the building sector. It is designed with a goal of market transformation for energy efficient technologies in buildings and the built environment in the Maldives; and promotion of energy efficiency investments in buildings. LCEI Project is funded by the Global Environment Facility (GEF) and executed by the MEE with implementation support from UN Environment.